Printers are among the most commonly used devices in the modern world. Generally, a printer is used to create a human-readable representation of text or graphics on a paper or similar type of medium. Printers are used for various purposes like printing images, photos, projects and much more. Heat sublimation transfer is one such application in which a printer is a must accessory. However, if you are going to use the printed medium for heat printing T-shirt, the printer must be able to work with fabric ink. Usually, there are two types of heat transfer printers; a laser printer and inkjet printer. The laser printer is the most recent innovation in heat printing solutions. This machine uses the most current laser technology to print on the transfer paper and offers premium quality prints. The laser printer is more expensive than inkjet printers and can print only on special laser transfer papers. However, with a laser printer, it’s less expensive per print. The inkjet printer is the most preferred printer as it’s easily available and also inexpensive. Many computer stores often give away Inkjet printers along with the purchase of a desktop computer. 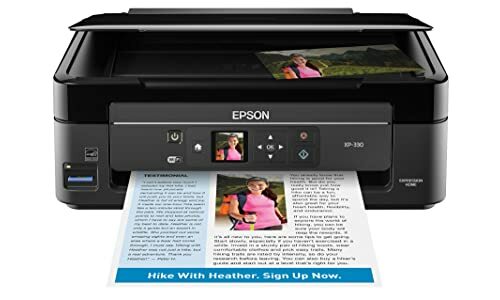 Even the most affordable inkjet printers work great for most of the requirements of personal computer users. Another advantage of inkjet printers is that they have light weight and a good desktop footprint. Most models are easy to transport. If you are a hobbyist, an inkjet printer is probably the best option. Inkjet printers are usually cheap, but the printing costs can be quite high as the transfer papers are more expensive, so they are best for individuals who need to print only a few pages every month, rather than a user who needs to print hundreds per week. In case you fall into the latter category of users, a laser printer would be a better option. Choosing a heat transfer printer can be quite tricky, especially if you are a novice, as there are several types on the market. You will not only have to be selective about technologies, such as laser and inkjet but also among printers with different levels of features and functionality. To help you select the one that best suits your need, I have noted down some factors that you should consider while going for the purchase. The application why you require the printer is very important. For example, if sublimation is your primary purpose, look for printers that actually work with that process. You can’t simply go to a local office supply store and grab any printer off the shelf. Most office supply stores will provide transfer papers that are designed for standard printers that contain standard ink. Remember that paper ink isn’t similar to sublimation or fabric ink. If you are going to use the printer for multiple processes, I would recommend you to buy a separate printer for separate processes that require different types of inks. For example, many printers are available that work for both cotton inkjet printing and sublimation. However, if you have to switch from one process to another, you’ll have to completely flush out all of the existing ink before installing the ink suitable for the second process, which is not only expensive but also time-consuming. Also, choose the printer according to the quantity of production required. As mentioned earlier, for high production, a laser printer is an ideal choice. Your budget limit is another very important factor that you must consider while choosing a printer for sublimation, but you should never compromise your quality. First, have a budget fixed in your mind and choose the best one affordable in your budget. 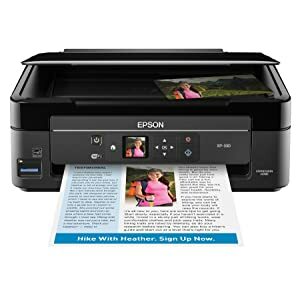 Usually, good inkjet printers suitable for printing on heat transfers are available at the price range between $100 and $500, while laser printers that can print on special transfer papers can cost as high as $1000. Along with printing functionality, you may also want your device to have some very useful features. A scanner will let you scan or copy a handcrafted design or image, which you can print and transfer later. Duplex printing is another function that you’ll find on most of the today’s high-end models. With this feature, the printer can automatically print on both sides of the paper. Photocopier function in the printer can directly scan and print the images even if your PC is off. Automatic document feeder is available in many printers. With this, you don’t have to manually feed the paper every time you have to print. Smart connection feature that allows the printer to be used from other devices like Smartphones or tablets. It’s obvious that every individual wants the fastest printer available in the market, as being able to print more pieces per hour will offer more profits. Unfortunately, most of the times quality is sacrificed for speed, so there could be a few trade-offs if your primary concern is high speed. However, with the developing technology, modern printers have become faster. Even the slowest units of today tend to have the speed similar to the fastest printers available a few years back. When reviewing the printing speeds, pay attention to some of the details. Give more importance to color printing, and not black printing. Also look for the image size used in the speed specs. Larger images will take a longer time to print than the smaller ones, so quantify all of the data based on the print speed specification. This is another important aspect that you must consider. A printer with high print density is always better than the ones that have comparatively less. If you are going to require high density printing then always choose a printer that has greater print density range. A printer with density of 5760×1440 dpi is good for heat transfers. If you are going to need larger images for heat printing on the front T-shirts, choose a printer that has fairly a large print field. Printing area does matter and also the cost increases with the size of the print field. The best thing you can do to know the required specs is to consider the size of the printing media. For example, in case the size of the largest transfer sheet for fabric printing is 11 inches by 17 inches, a printer with a print field of 17 inches by 22 inches is not needed. Similarly, a printer with a print field of 8.5 inches by 14 inches will also not work. So it’s best to choose the size according to the size of the sheet that you’ll use. Commercial-grade inkjet printers have multi-color ink cartridges, typically in four, six or eight versions of color. The basic colors are mixed and unlimited virtual colors are created within the printer itself. For most commercial printing, a four-color printer works great. But fine art or photographic work where subtle shades make big differences may need a six or eight color printer. So if you want better-detailed printing on your T-shirt or other substrates then go for the higher versions. The capacity of the printer’s ink cartridges must also be considered. A printer with smaller ink cartridges will run out of ink more frequently, which will means putting a stop to the production process for some time while replacing the cartridges. Larger ink cartridges will last longer; hence you won’t have to change the ink frequently. Also, you can do some quality check of the ink while buying the printer by printing the image and then heat transferring it. The ink, once transferred must remain bright and not fade with time. This way you will know you have chosen a great machine. Some printers are capable of printing only on one medium. For example, a laser printer can only print on specialized laser transfer paper. If you are going to work with multiple media, you would want to choose a printer that is versatile and able to print on several types of materials. Usually, printers are available in two connection types; USB connectivity and wireless. A printer with USB connectivity needs a USB cable to connect to the desktop computer. The wireless printer connects to the computer through a wireless connection like Wi-Fi or Bluetooth. With the wireless feature, you can install your printer anywhere in the room, while USB printer must be kept on the desktop just beside your computer. You can choose according to your preferences. Like every technical device, most printer manufacturers offer certain period of warranty to ensure the buyer’s investment in their product. As you are going to invest quite a good amount of money on the device, I would highly recommend you to choose a unit that comes with maximum warranty period and a reasonable warranty policy. Also, in the long run, you may face problems while operating the machine, so the manufacturing company must also have a good customer support system. It’ll prove to be very helpful in the future. Epson is one of the most popular printer brands. It’s known for its high-quality printing products. Compact and affordable, the new Expression XP-330 by Epson is an all-in-one printer that makes printing simple. Its 1.44 inches color display offers easy and quick setup. With this printer, you can virtually print from anywhere, with or without a network, even via your iPhone, iPad, Smartphone or tablet. The XP-330 is a completely wireless system. A 100-sheet printing capacity means you have to reload paper less often. Plus, you’ll get truly touchable documents and photos. Its instant-dry ink provides fade, smudge, and water resistant prints. This printer is quite powerful and can be used for printing sublimation transfer papers. Irrespective of the type of printer you have, you can enhance the quality of the prints by following some simple ways. For inkjet printer always keep the printing speed at the highest rate possible. While for laser printer adjust the speed with respect to the amount of saturation. Always use the paper recommended by the manufacturer. Apply the highest available resolution settings on both the application being used and the printer. Use only the type of ink recommended by the manufacturer. Make sure that your printer is using the latest firmware versions and device drivers provided by the manufacturer. Exposure to external heat stress and excessive moisture can distort the print quality, so make sure you set up your printer away from any powerful heat source and store it in a dry and cool place. For heat pressing, always print the mirror image of the graphic, letters or logo on the transfer paper. If the images or graphics that need to be transferred are small, print multiple images on a single paper. This way you can save a lot of expenses. Always switch off the printer when not in use. This not only saves power but also retains the quality and durability of the printer. Always perform the recommended maintenance on your printer on a routine basis to make sure that your printer is working well. Solution: Check if all the cables are connected properly and the printer is turned on. In case the printer is still not responding to the work, open the control panel on your PC and make sure your printer is set as default. Also, check the printing queue and cancel everything on the queue and process the printing anew. Problem: Printer is printing out pages full of strange symbols and characters. Solution: Your printer’s drivers may be outdated so update the drivers. Problem: Printing unnecessary streaks and lines. Solution: This could be due to poor alignment, so if you have an inkjet printer, align the printer head properly using the alignment tool. Problem: Color missing from the prints. This may happen if the printer has run out of ink. check it and replace the ink cartridges if necessary. Another reason could be faulty ink heads. If this is the cause, send the printer to the service center for repairing. A dirty printer may also be the cause. Clean dirt and debris accumulated at the inkjet printer heads using a brush or soft cloth. Choosing the best printer among hundreds of choices isn’t an easy task but if you consider the above factors, it’ll be much easier for you. Having a good printer alone won’t give you precise quality prints. It also depends on how you use the device. With some simple tricks, you can get optimal results even from a low-end printer.